Peacocks on the roof, 1967 bushfires, Mt St Canice boiler explosion, dodging the knife throwing of a "delinquent girl", love in a boarding school, the Granville train disaster, a murderer in the violin class, the Port Arthur massacre, divorce, working with the drugged, violent and mentally challenged. How to retrieve contact lenses from a drain, how not to clean thermometers, how to increase biceps while making bread, living with bats, leeches and a soap eating rat. Bringing up a baby while writing a thesis, cosmetics from the kitchen, cheap holiday options, finding your dream man, a wedding on a budget, leaving fundamentalism, finding freedom. The power of family, friends, purpose, music, nature, beauty, books and "a good cup of tea"! This is a Tasmanian book with universal themes. Wonderland is a place and also an attitude - an attitude of hope, love and humour. 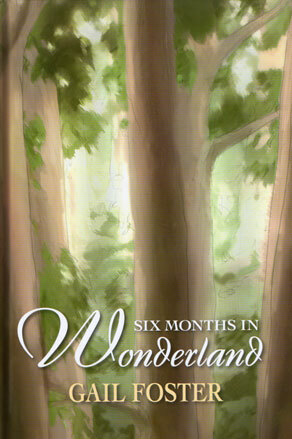 "Six Months in Wonderland" is a beautiful hard copy book, illustrated with numerous colour photos.